Blueberries are known for their robust nutritional profile. As an excellent source of Vitamin C they contribute to the development of tissues and promote wound healing as well as collagen production. Blueberries are high in Manganese, which helps the body process cholesterol and nutrients such as carbohydrates and protein. As an excellent source of fiber, fruits like blueberries may reduce the risk of heart disease and adds bulk to your diet, which may help keep you fuller, faster and longer! Blueberry Bliss doesn’t have to be limited to cakes, pies, breads and muffins. Add dried blueberries to trail mix. 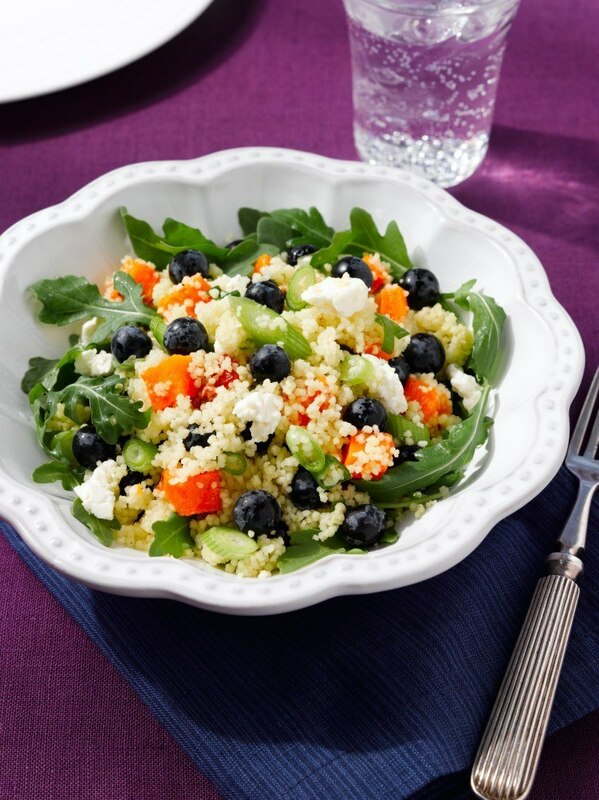 Use dried or fresh blueberries in salads or prepare a compote or salsa to serve with fish and meats. Add fresh or frozen berries to shakes, yogurt, hot or cold cereal and more! You can enjoy blueberries in a variety of forms, including fresh, dried, canned, frozen and in juice. Blueberries are a versatile ingredient and pair well with both savory and sweet ingredients such as lemon and mint or cheese, coconut and rosemary. 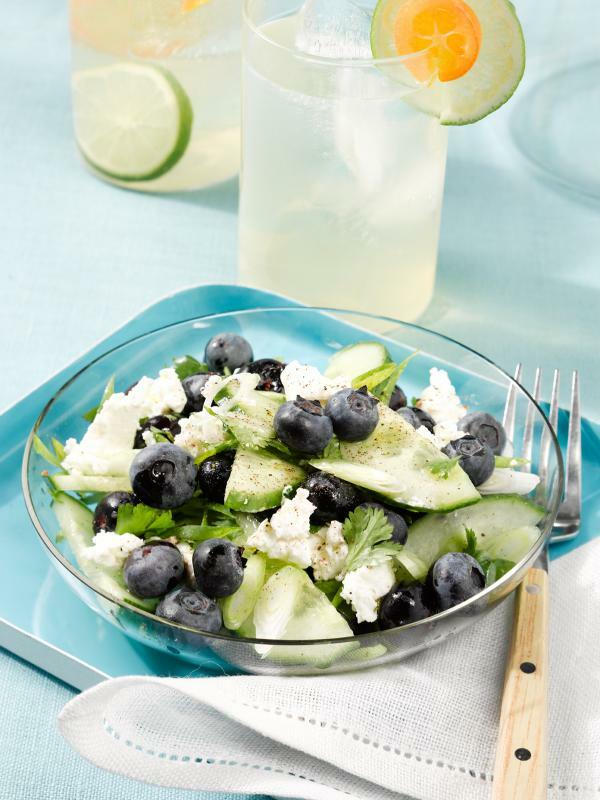 Here are two recipes to broaden your blueberry palate! Drizzle 1 tablespoon of the dressing. Add remaining dressing to couscous mixture; toss to combine. Serve over arugula. In a small bowl, whisk the olive oil, lime juice, cilantro, salt & pepper. Pour over the cucumber mixture and toss to combine.